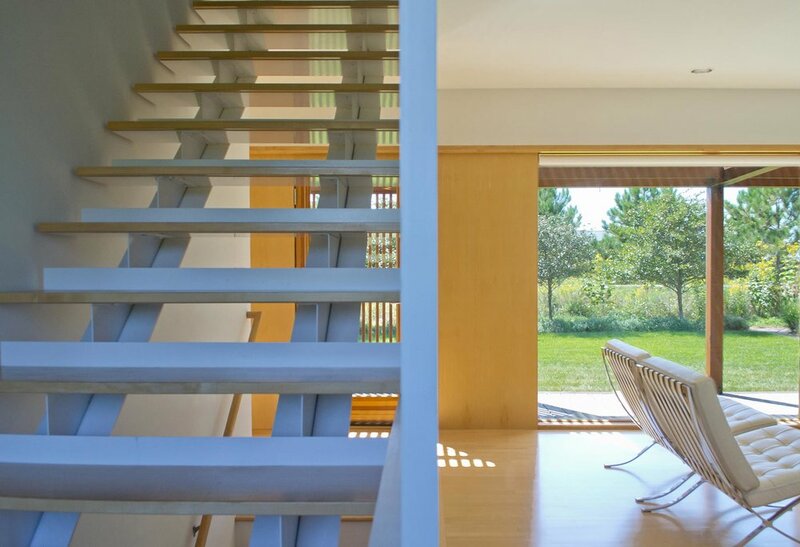 Designed as the first house for the Village neighborhood within The Mayo Woodlands development in Rochester, Minnesota, the project was created as a collaborative design effort between ALTUS Architecture + Design, landscape architect, Coen + Partners and architect, David Salmela. The project has received a Progressive Architecture Citation and has been published in the New York Times and many national magazines. 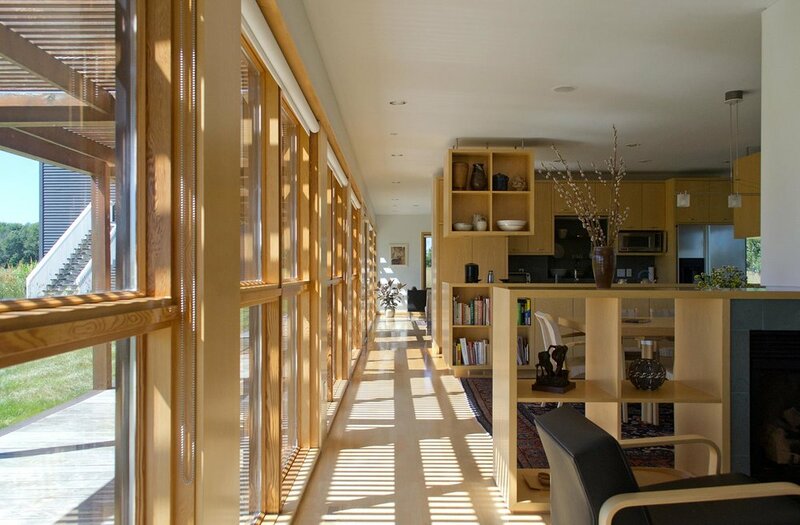 The house is designed to express the design philosophy at the Woodlands through an east/west site placement that echoes windrows of Red Pine trees. As well, the transparent main level creates a strong relationship with the outdoor spaces. The natural Cedar pergola provides sunshade for the main floor and establishes a modern veranda. The design also incorporates a standing seam metal roof, European smooth stucco and an open floor plan. The detached garage has a loft space above and is treated as a dark cubic object as a counterpoint to the main house. The Purple Nite color allows the garage to visually recede into the forest beyond.